He was treated as one of the world's most significant religious trendsetter. His name is Akhenaten, Ancient Egypt’s most dominant and dubious pharaoh. He was pharaoh of the 18th dynasty and was the father of King Tut and the spouse of Nefertiti. 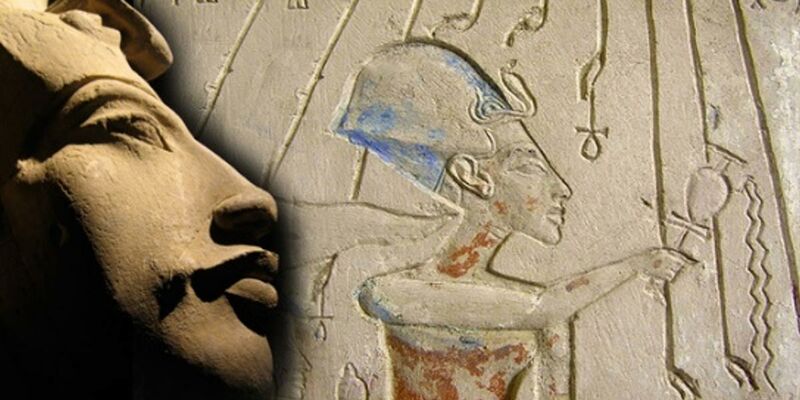 Akhenaten was thought to be a direct kin of Aten and he considered himself to be holy and was a God. He was one of the most compelling and enigmatic rulers of Ancient Egypt. He was a Pharaoh of the 18th dynasty of Egypt and governed for 17 years. He was known to be the "great heretic” because of his religious notions. He was the offspring of King Amenhotep III and Queen Tiye. He was first known as Amenhotep IV then changed his name to Akhenaten to display his attachment with the new absolute god that he made. He was also known as Akhenaton’ or `Ikhnaton’ and also `Khuenaten’ all of which means' of great use to' or `successful for’ the deity Aten. He married the most famous woman in Egypt, Queen Nefertiti. Aside from Nefertiti, Akhenaten has a second wife named Kiya. Not much is known about Kiya because not too many records were documented about her and her actions or roles. The mummy of Nefertiti was never found. June Fletcher, an archeologist claims that she found Nefertiti's badly dismembered mummy. in a side chamber of the tomb of Amenhotep II located in the valley of the kings. Though the majority of the scholars doesn't believe this claim. He was the father of Tutankhamun from Kiya and Ankhsenamun from Nefertiti. Akhenaten’s children are Smenkhkare, Meritaten, Ankhesenpaaten, Tutankhaten / Tutankhamun, NeferneferuantenTasherit, Neferneferrure, Setepenre. 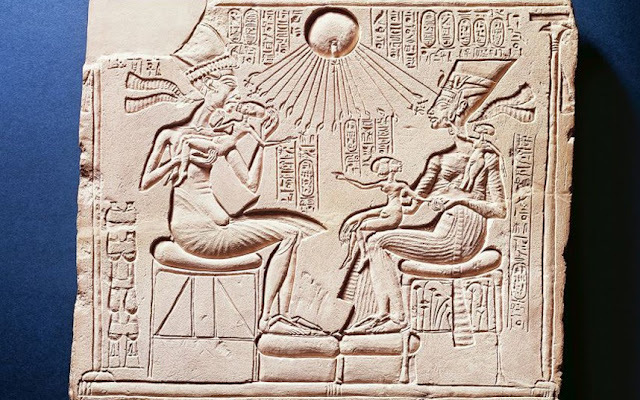 It is believed by some archeologist and historians that Akhenaten made some of her daughters as sexual consorts to have a male offspring. He anointed new priests and forces the priests of Amun to serve his new religion of monotheism and announced that he and his wife are gods. He raised the status of Nefertiti as divine. The scholars proposed that she may have been only 12 years old when married to Akhenaten. He stopped foreign military operations and slowly adjusted down Egypt's military defenses. He was known for dumping the Egyptian polytheism and introduced monotheism worship centered on Aten. He claimed that his father was a god which is Aten and that he can come to him anytime he wants. He could have been the 1st monotheist in all of history. Based on Egyptian Mythology, he came down from the gods who appeared on Earth during the time of Tep Zepi. During his reign on his 9th year, he forbid the old deities of Egypt and ordered that their temples be closed. Barbara Watterson stated that this was a very serious matter for these institutions that contributed an important part in the economic and social life of the country. After becoming the Pharaoh, he ordered that all symbolic representation of previous gods to eliminated. He also initiated that all name and image of Amon, the Theban god be erased during his 5th year as pharaoh. Based on the writings and poems he made, he was visited by beings that came from the sky and he was told what he needed to do and how he needed to govern over his people. He believed that he was a direct kin of Aten and he claimed that he was divine, the whole nation also worshipped him as a god. He ordered the building of Amarna, a new capital that is dedicated to the Sun. He started the changes in art and culture and one of most famous changes was how he would be plainly represented not as a powerful Pharaoh but as a weak, that has an elongated skull, long neck, sunken eyes, big thighs, long fingers, backward-turned knee joints, a potbelly that has female-like breasts. He has likely endured an illness called Marfan's syndrome. It is also possible that he has elephantiasis Froelich’s Syndrome. After his dominion, the city of Amarna was deserted and the temples to the sun were ravaged, his images were intentionally vandalized. Edward Ayrton, a British archeologist made headlines in 1907 about the 'finding' of the actual mummy of Akhenaten in the valley of the kings. 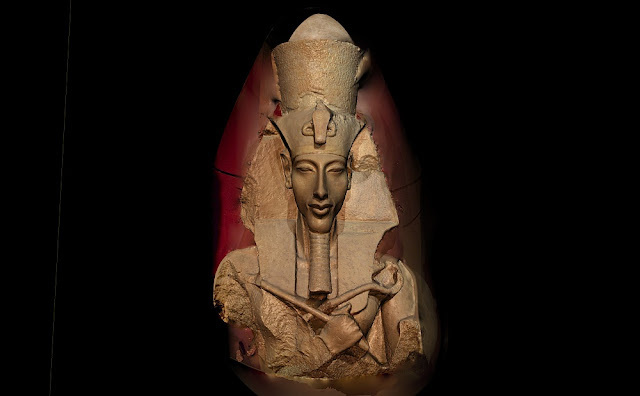 It has been long guessed as also questioned that the mummy found in this tomb was the body of the noted Pharaoh Akhenaten. Results from genetic and other scientific examination made were advertised on February 2010 verified that the man entombed there was both the son of Amenhotep the third and the father of King Tut. He was last seen together with the Amarna family in the second month of the 12th year of his reign in the tomb of Meryra the second.